Ganesha, the benign god of wisdom, bestower of success and remover of obstacles, is invoked by Hindus at the start of any major enterprise. 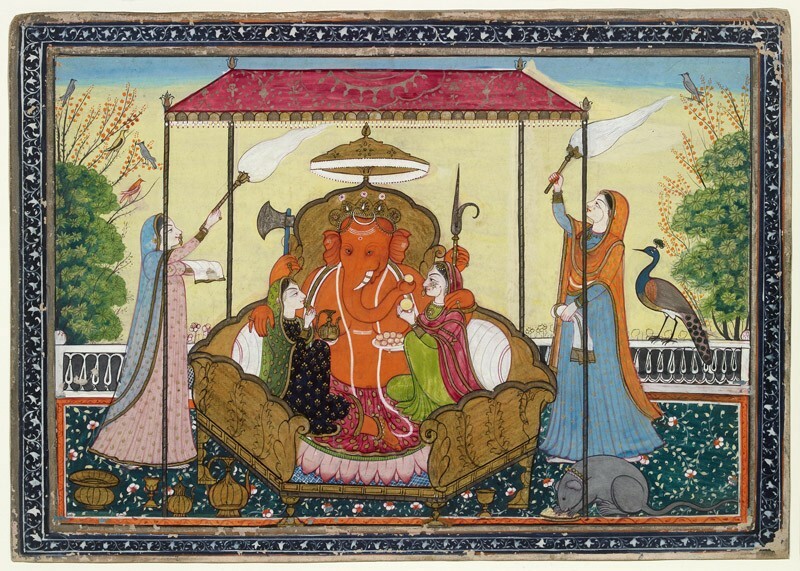 Here the elephant-headed god sits enthroned on a terrace, embracing his consorts Riddhi and Siddhi who ply him with sweetmeats and drink. In his other hands he holds his attributes, the axe and ankus or elephant-goad. 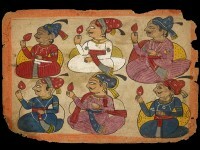 Maidservants fan him with chowries (yak-tail fans). 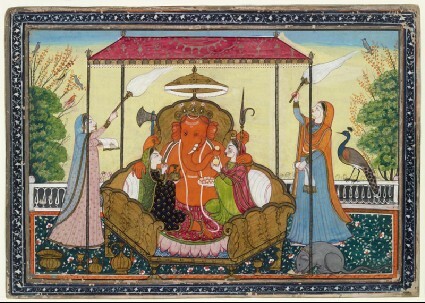 Ganesha’s associated animal or ‘vehicle’ is the rat, here seen eating from its own dish.